2-Bedroom Beachfront Rental, 45 minutes from Liberia International Airport. Famed for its white sand and azure blue waters, Playa Flamingo is one of the best beaches in Costa Rica. Situated in the Northern province of Guanacaste and only one hour from the international airport at Liberia, it offers the perfect vacation setting. 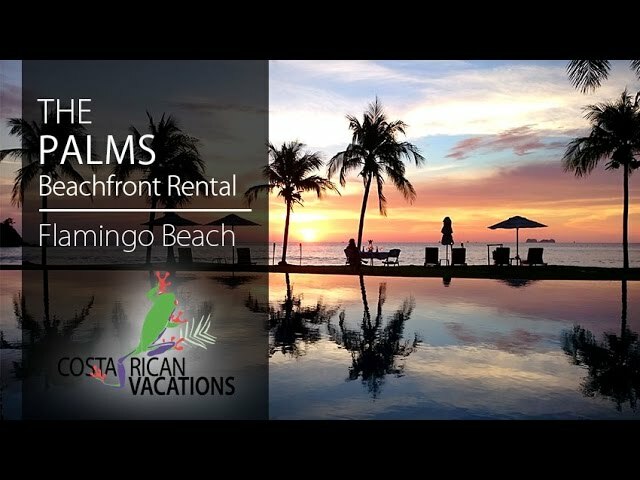 Las Palmas Villas occupy an exclusive location on Playa Flamingo, and the rentals are distinguished by luxury. Each beachfront villa features floor-to-ceiling glass doors, high-quality bedding and fully equipped kitchens. Views abound from the outdoor living terrace and the upper balcony, and you are just a short stroll through the tropical landscape to the warm waters of the Pacific.